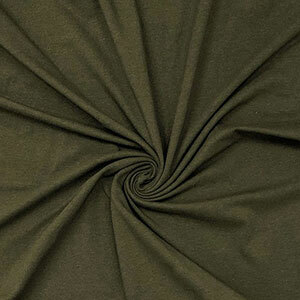 A dark olive green color in a perfect medium weight solid cotton spandex knit. Fabric has a nice 4 way stretch and good recovery. 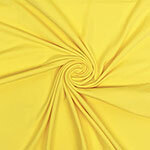 Top quality fabric in the perfect season color! 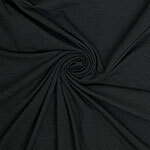 Please note that while this fabric is the same content and from the same supplier, the exact color of the olive does vary slightly by lot.